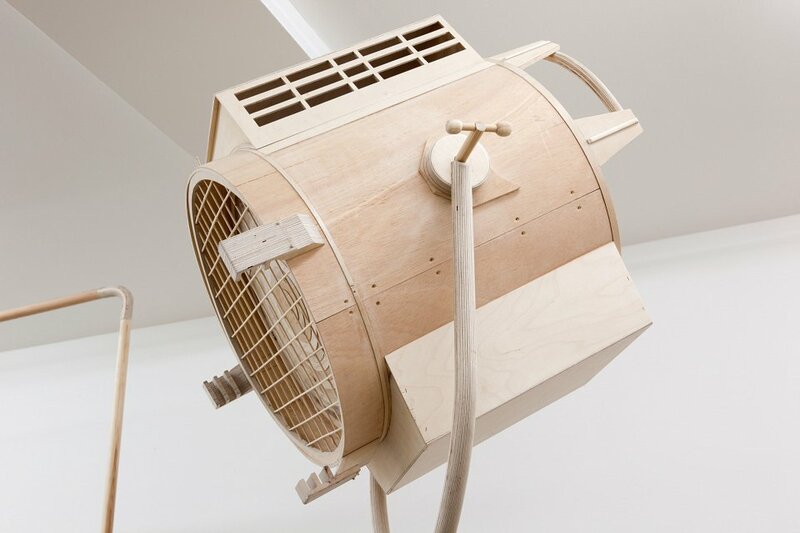 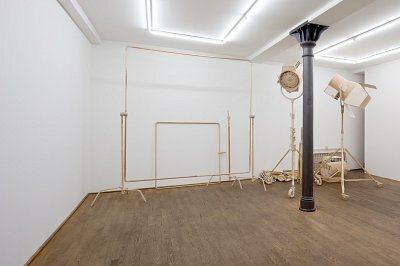 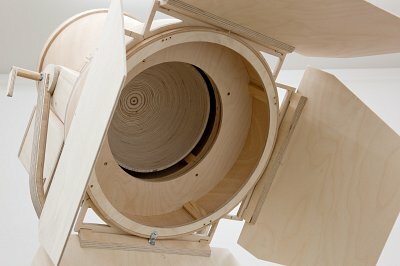 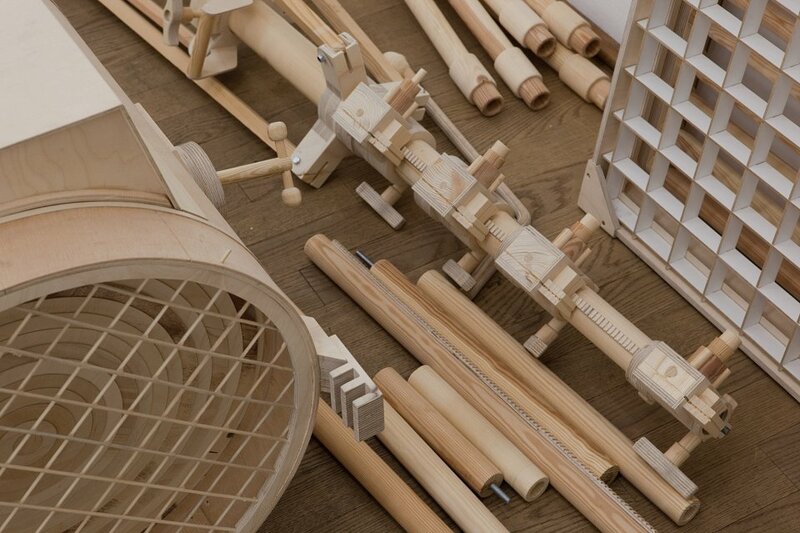 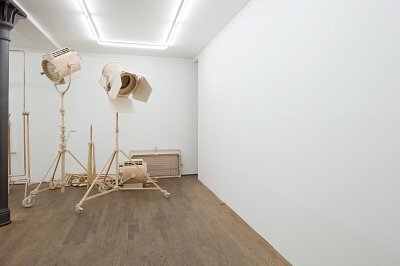 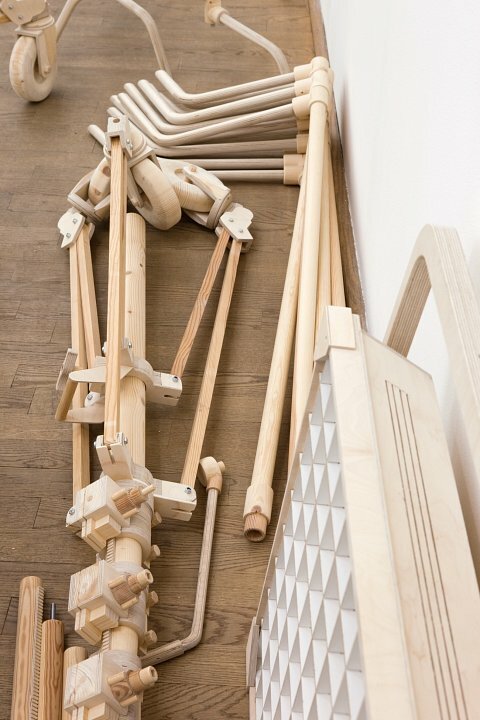 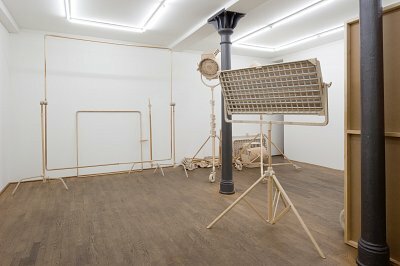 From August 28 through October 16, 2010 Kuckei + Kuckei presents Oliver van den Berg‘s new work „Set“. 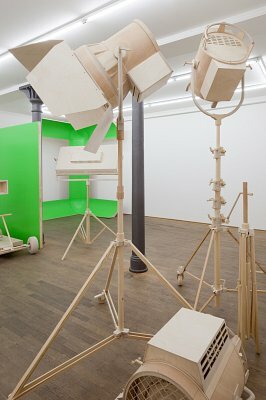 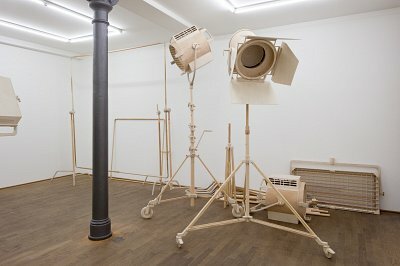 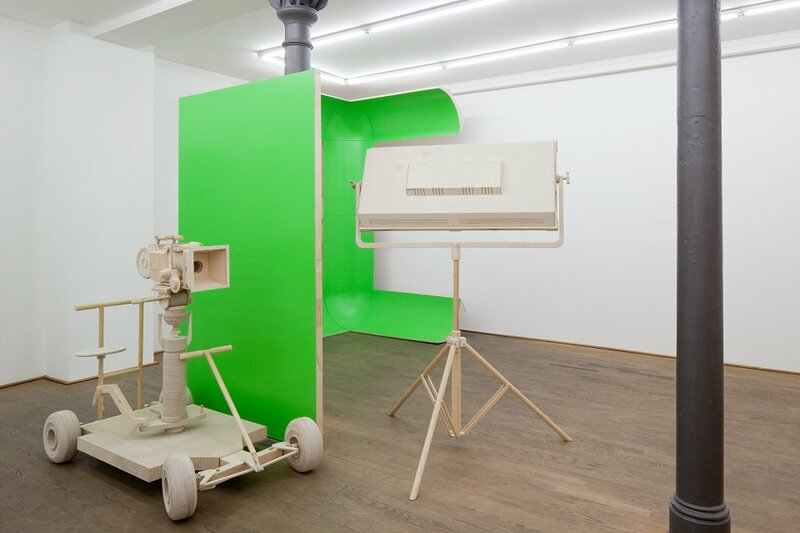 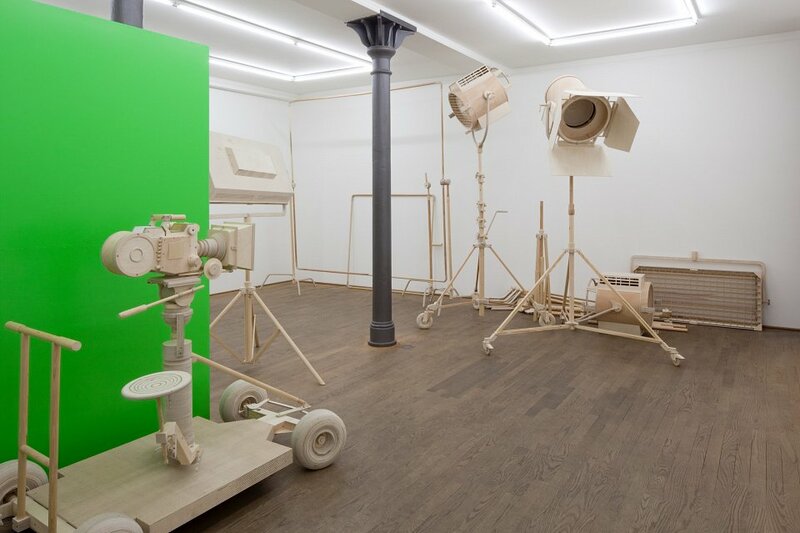 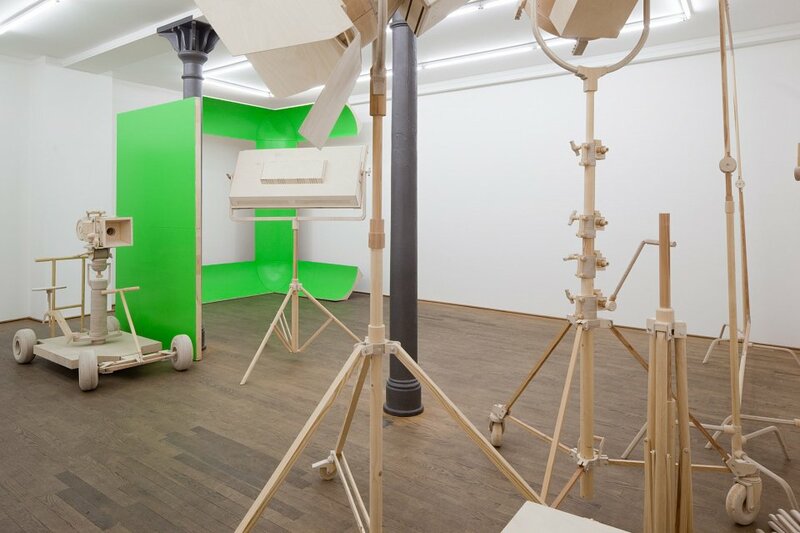 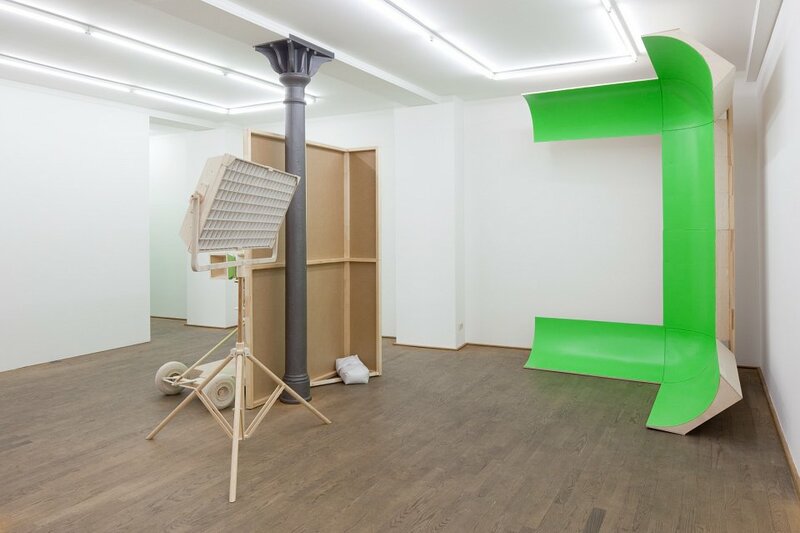 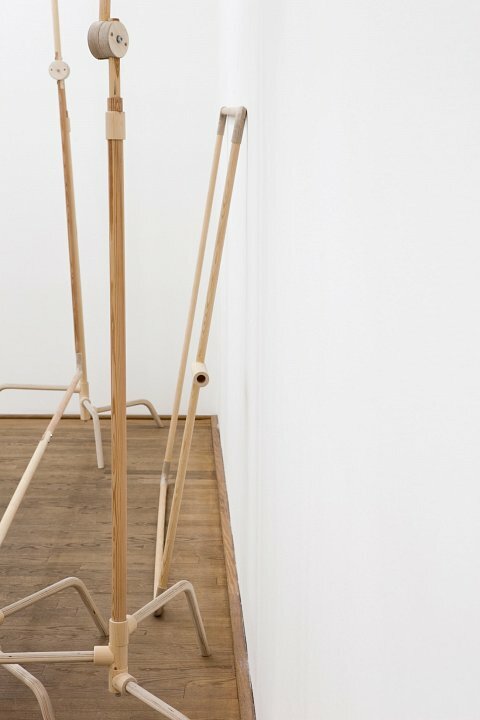 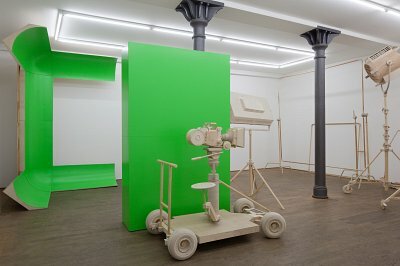 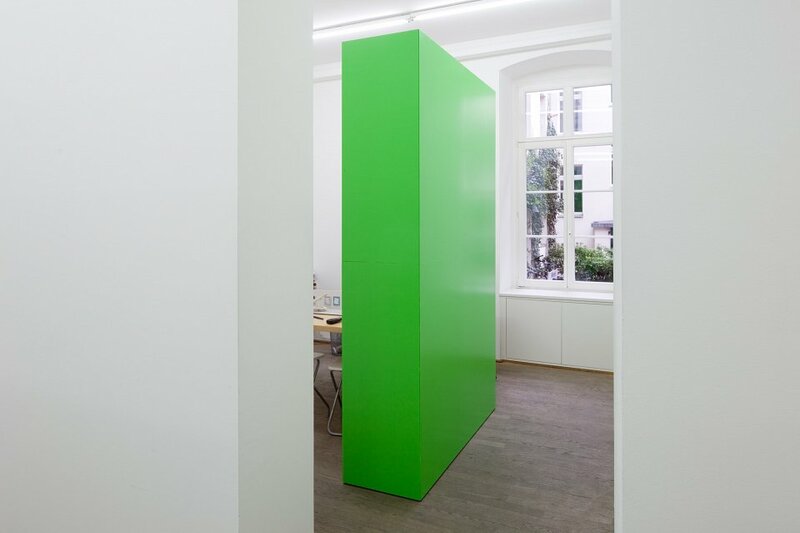 For this exhibition, van den Berg transformed the gallery into a kind of ersatz film set. 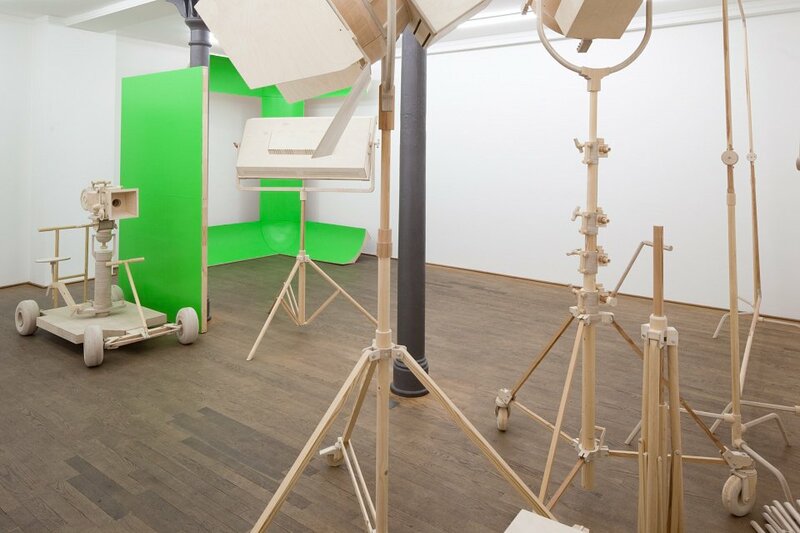 Purposefully distributed replicas of recording devices, dollies, carts, and lighting equipment mimic the setup of a film or television crew, whereas their accomplishment clearly show their artificiality . Van den Berg’s works derive their uncanny presence from the tension that arises between form and function, between mass-produced original and handcrafted copy. 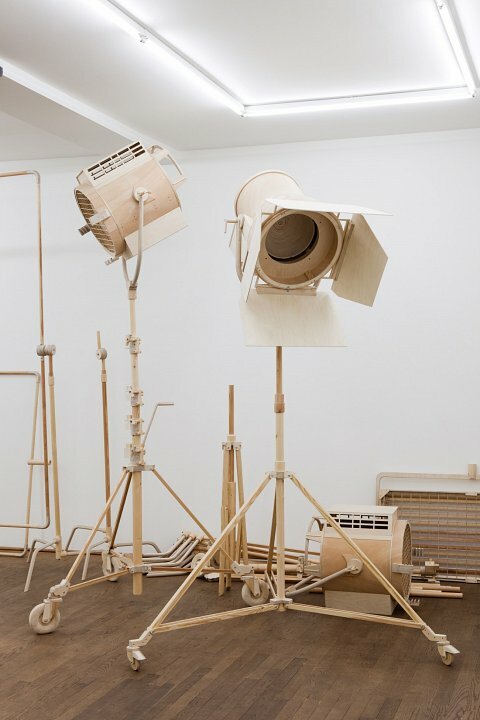 As one looks closer, however, the set-up’s artifice becomes apparent. 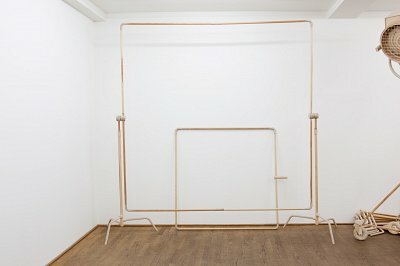 There is no “real” object at the center of this hypothetical stage. 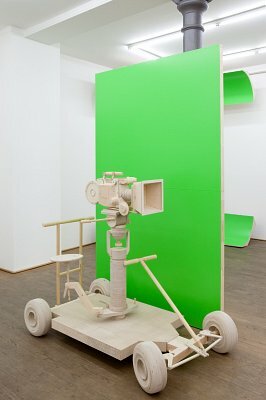 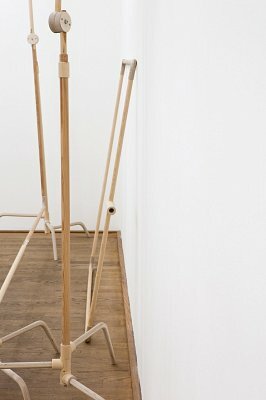 In van den Berg’s gallery-as-location shoot, it is the space, the visitor, and indeed the objects themselves that are the actors of the setting.